Peas are one of the oldest crops cultivated by humans, having been eaten in some form as early as 9000 B.C. Split pea soup has been traced back to ancient Greek and Roman societies. Also, you may even remember it from the popular Mother Goose nursery rhyme, "Pease porridge hot, pease porridge cold," which is a nod to the versatility of the dish. 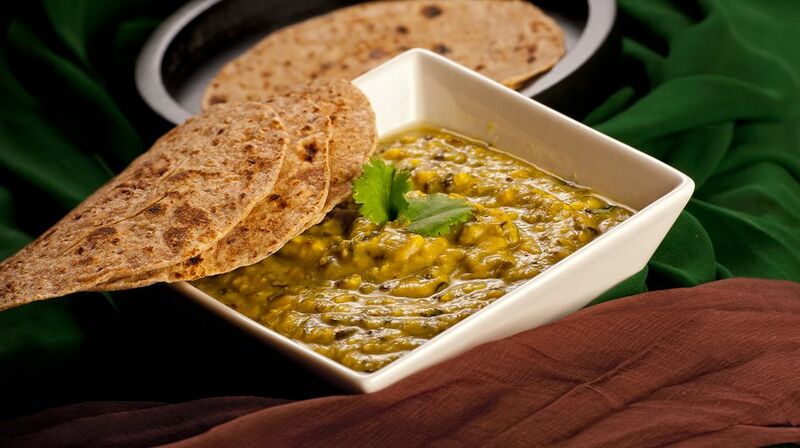 This recipe is made from dried yellow peas that have been peeled and split. This vegetarian hot soup recipe is perfect for cold days, lean budgets, or anyone looking for a heartily healthy vegan dish for lunch or dinner. Place the broth, water, onions, celery, carrots, and garlic in a large stockpot over high heat. Bring the mixture to a boil. Add the dried split peas, turn down the heat, and simmer for 35 minutes, or until the vegetables are tender and the peas are very soft. As an option, add salt, cumin, red pepper powder, and black pepper to taste. Using a potato masher or the back of a metal spoon, mash the peas for about 3 to 5 minutes, or until the soup is creamy, adding more water as necessary. Alternatively, you can choose to puree a little more than half of the soup in a blender and then mix it with the un-pureed portion. Add more salt and pepper to taste and serve hot with bread or rice. Make sure ingredients are dairy free: This recipe is suitable for dairy-free, egg-free, and vegan diets, but as with any recipe intended for persons with allergies or dietary restrictions, make sure to read all nutritional labels carefully to make sure that there are no hidden dairy-derived ingredients (or other allergens, if these apply to you). Some hidden dairy ingredients words to steer clear from in ingredients lists are whey protein, casein, and lacto- anything as a prefix. Lacto is the Latin word for milk. Add more vegetables or meat substitutes: Feel free to add other vegetables like chopped potatoes or pieces of vegetarian meat substitutes to add another dimension of flavor and texture to the soup. Elevate the dish with spice and herbs: Experiment with your spice drawer. Feel free to add a pinch here and there to change up the flavor profile as you prepare different batches. A nice addition is ground red pepper and a bit of cumin, which turns a traditional pea soup into a uniquely different spicier version of the classic. Two or three sprigs of aromatic fresh herbs such as rosemary, marjoram, thyme, and parsley are other great additions.